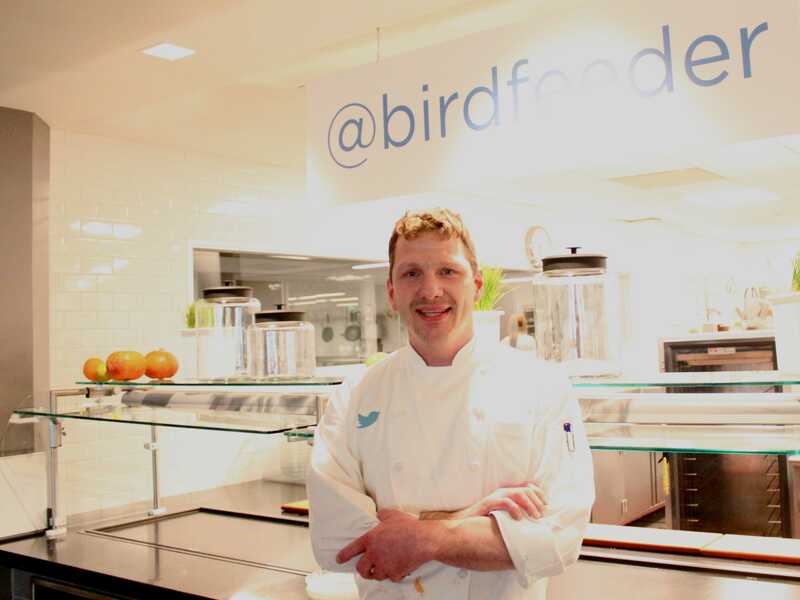 We had the inestimable pleasure of meeting Twitter chef Lance Holton earlier this week.Holton, better known as @birdfeeder, is just as funny and charming in person as he is in the short videos he posts via Twitter’s Vine video-sharing app. We’re planning to go back to Twitter HQ for an in-depth look at Twitter’s kitchen operations. But in the meantime, we thought we’d share with you this fun fact: Twitter goes through 280 pounds of bacon a week. And Twitter apparently has a bacon larder. You know, for the bacon. Every day, the daily ration of bacon occupies a station in the Twitter cafeteria, which may explain Twitter employees’ propensity to break into song and dance. So 280 pounds of bacon sounds like a lot, until you divide it by 1,300 employees and realise that the bacon-starved employees of Twitter are consuming a mere three ounces of bacon a week. Presumably the paleo-dieting, CrossFit-loving ultramarathoners at Twitter make up for the lack of bacon consumption by the vegetarian and vegan contingents. Holton works for Bon Appétit Management Company, a Bay Area food-service company that also manages Google’s cafés. He told Business Insider he sources Twitter’s bacon through Del Monte Meat Co., an 87-year-old San Francisco firm, because it procures the pork from humane providers.